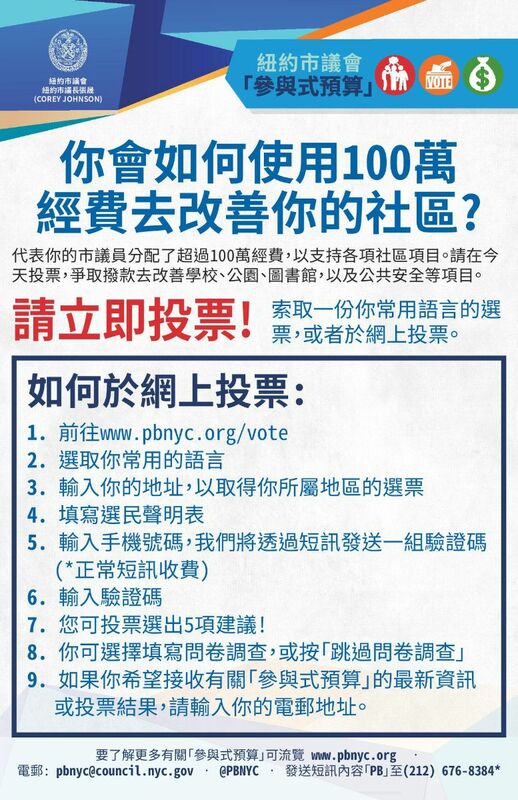 NYC District 19 Residents: Vote in Participatory Budgeting by April 7! New Yorkers who live in NYC District 19 - Auburndale, Bayside, Bay Terrace, Beechhurst, College Point, Douglaston, Little Neck, North Flushing, Malba and Whitestone neighborhoods in Queens - have a chance to decide how $1 million of City money will be spent on their communities with Participatory Budgeting (PB)! 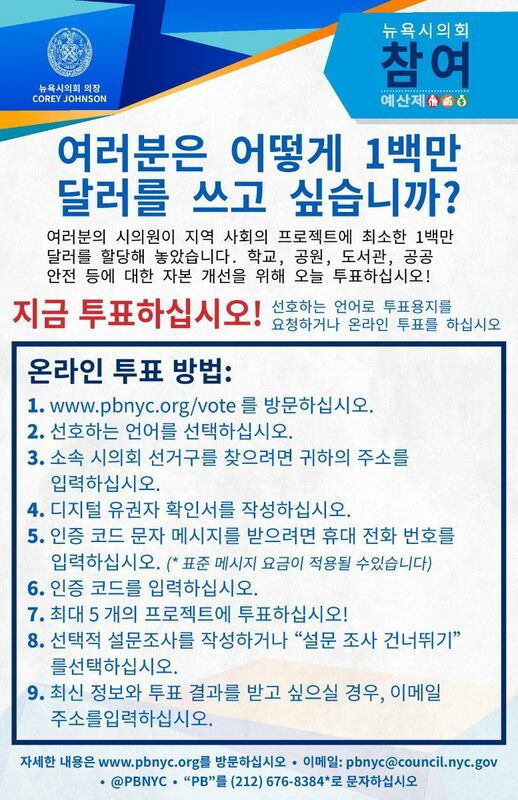 Many Korean and Asian American immigrants who we organize, educate and serve live in these neighborhoods, so the MinKwon Center and Council Member Paul A. Vallone encourages all residents to vote in PB by this Sunday, April 7! 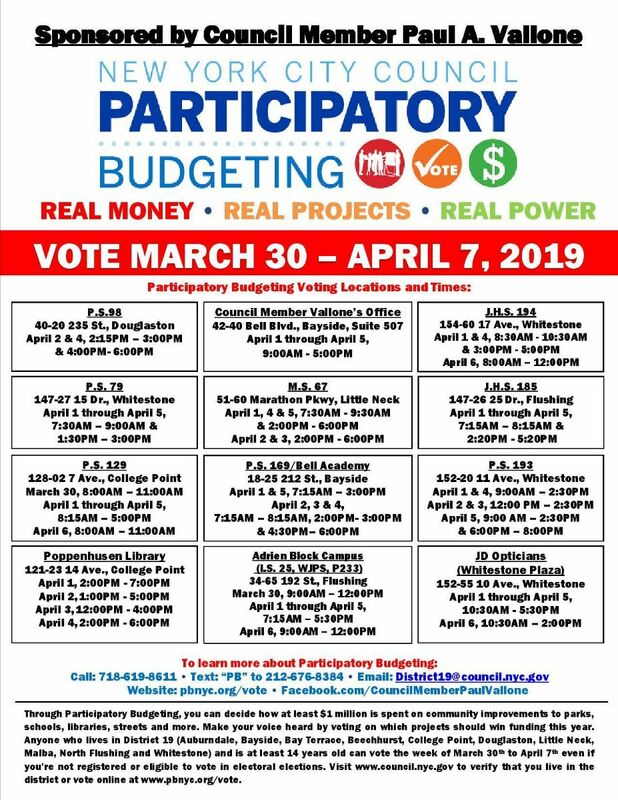 PB is unlike conventional voting in that all residents 14 years or older can vote, and you do NOT have to be a registered voter to participate. Voting will take place in these polling locations shown above, or you can vote online. Vote in PB Online Now!